Oracle Responsys’ data-driven technology helps to create precisely targeted audiences that provide clients with the ability to personalize each and every customer journey by interacting with them in real-time. Oracle Responsys gives modern marketers the ability to orchestrate all interactions across channels such as web, email, mobile, social display, in-store, e-commerce and more including push, SMS, and in-app messaging. With 50% of consumers ignoring non-personalized mass marketing communications, we know how important personalized messages can be to increasing client’s conversions. Our partnership with Oracle Responsys allows our clients to deliver one to one personalized emails that engage customers based on their previous interactions. Our aim is to enhance the user’s online experience by delivering the right messages at the right time to the right person. 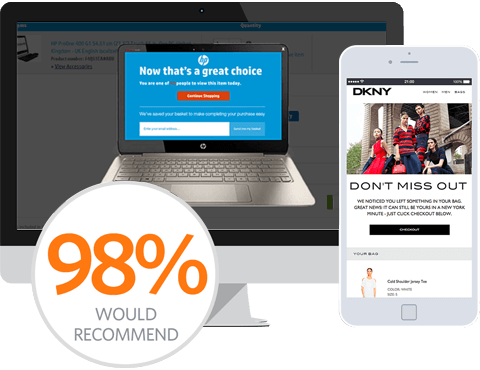 This has not only resulted in an improved customer journey but a marked increase in conversions for some of the world’s most loved brands. Work together to rapidly adapt to actual behavior, not desired behavior. Consistantly individualize cross-channel experiences that build loyalty. One Canvas, every channel, every team.